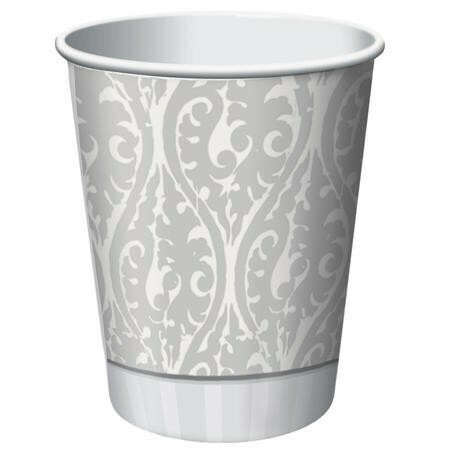 An elegant neutral themed pack of disposable christening cups. A white cross sits upon a silver/grey background to help create a lovely theme for any christening or baptism. These cups are suitable for hot and cold beverages.